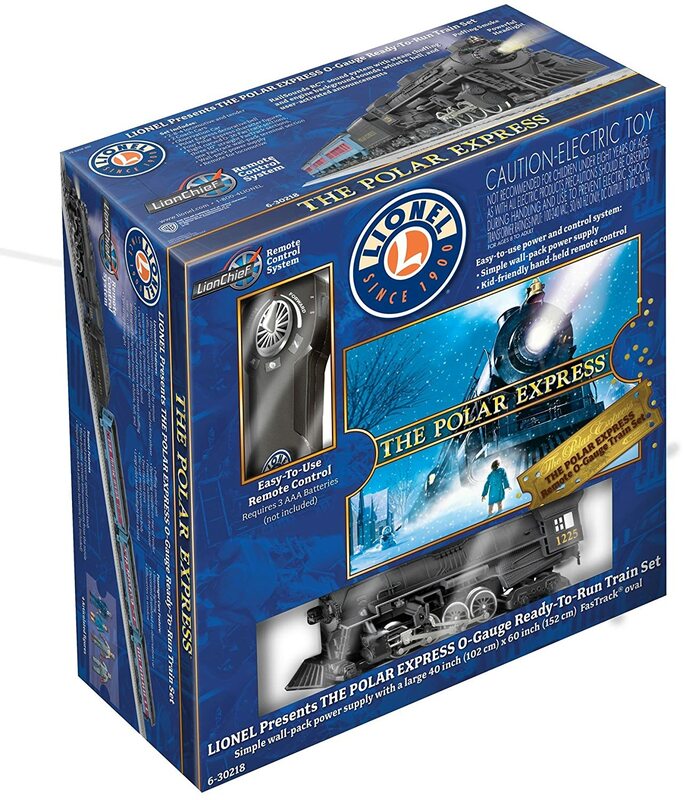 Are you looking for a Lionel Polar Express Train Set for around the Christmas tree? 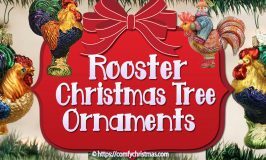 You’ll find a number of different types of Polar Express Trains and accessories on this page. 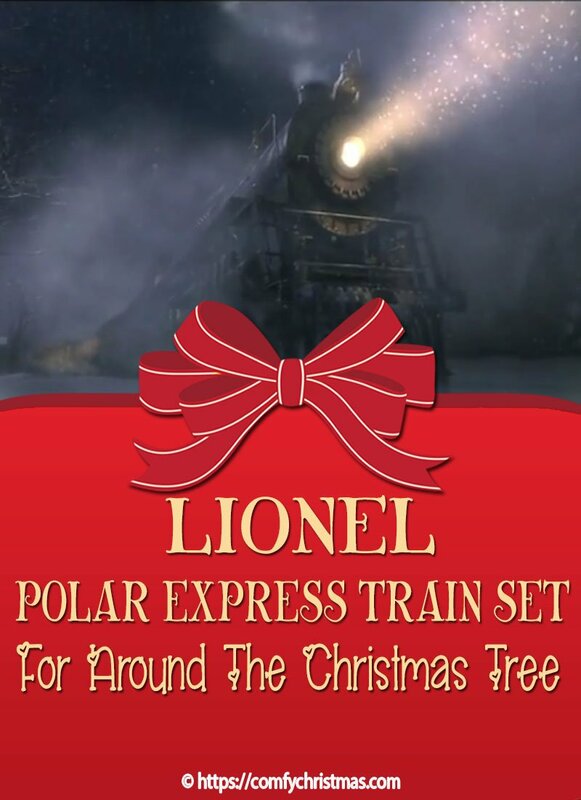 Lionel produces a number of different types of Polar Express Train Sets. 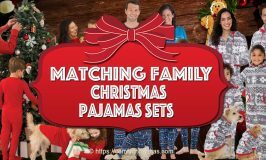 The Polar Express™ has undoubtedly been entertaining kids and adults for over 30 years. 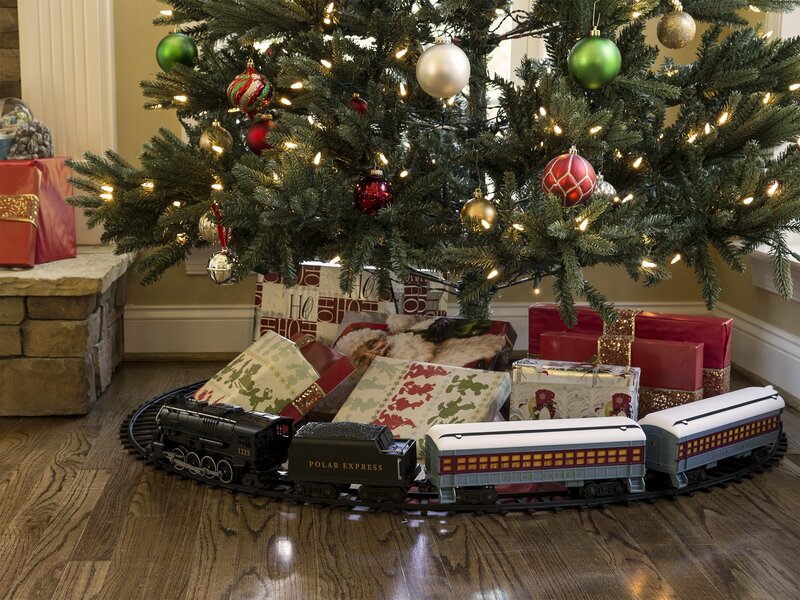 This Year’s Christmas Holiday Season , you can showcase the magic of Christmas with The Polar Express train set. 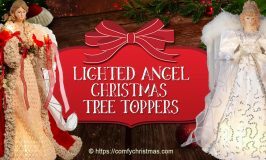 You can witness the children’s shadows as they sip on steaming mugs of hot chocolate and chatter excitedly about Santa while sitting in the passenger cars. You can operate this train using six conventional C batteries. This Polar Express Train Set also comes with an easy-to-operate RC remote control (requires three AAA batteries). This Ready-to-Play set comes with an exclusive track system which allows you to create; a circle, a rectangle or an oval layout. Note: This track system is exclusive to the Ready-to-Play train sets, and are not compatible with Lionel G Gauge or other G Gauge track systems. Dimensions: 50″ x 73.2″ oval of Ready-to-Play track. The set includes a working headlight and 3 train cars. 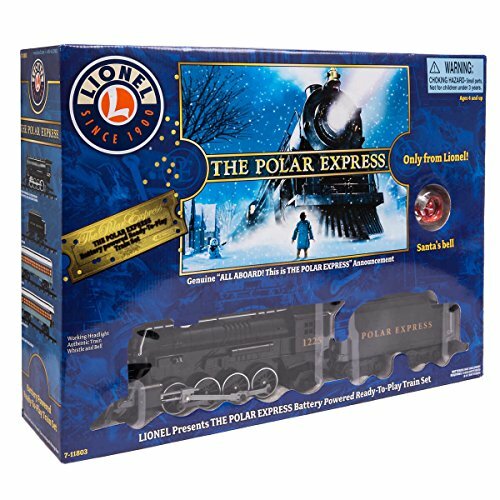 All in all this Lionel Polar Express Ready to Play Train Set is a Great train for a great price! 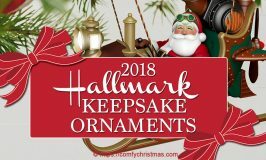 ﻿ This is the perfect set for underneath your Christmas Tree. This Lionel Polar Express Ready to Play Train Set is tons of fun and for memories to last a lifetime. This Ready to Play Polar Express Train Set has a highly detailed machine and tender. The set also includes a set of boxcars, caboose, LionChief remote and FasTrack. The FasTrack is durable, tough and easy to connect. GWR Studios does an awesome unboxing video of the Lionel HO Polar Express Train Set! Now if you’re more interested in an in-depth review, then you’ll find a great review of the Lionel Polar Express Train set in the next video below. In the above video you’ll find an in-depth review of the Lionel Polar Express HO Train Set . GWR Studios reviews all of the passenger cars and of course the locomotive. 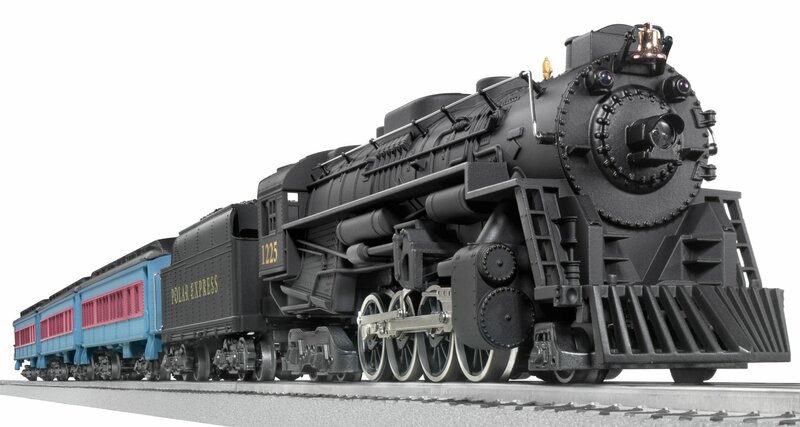 This video gives you a pretty good idea of all available for the Lionel HO Polar Express. This is a Ready-to-run train set right out of the box! This Lionel HO Polar Express Train set has the Official “All aboard the Polar Express” and other sound clips from the much loved movie. The train comes with an operating headlight and also has a puffing smoke unit. NOTE: Over filling the smoke unit may cause little to no smoke. With this train set you also get 4 Polar Express character figures. The remote features forward and reverse speed control knob. The remote requires 3 AAA alkaline batteries. ﻿ GWR studios was nice enough to share his personal collection of Polar Express Trains in this video. Lionel Polar Express Remote Train Set – O-Gauge What Come’s In the Lionel Polar Express Remote Train Set -O-Gauge Box? 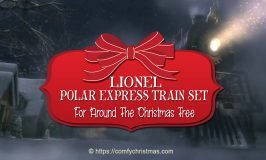 Lionel has been with The Polar Express™ just about every step of the way and in honour of their special relationship, Lionel has released a brand new has released a new Polar Express Passenger set with Bluetooth technology! Running the Polar Express™ train with your smartphone will give better sounds and smoother operation. 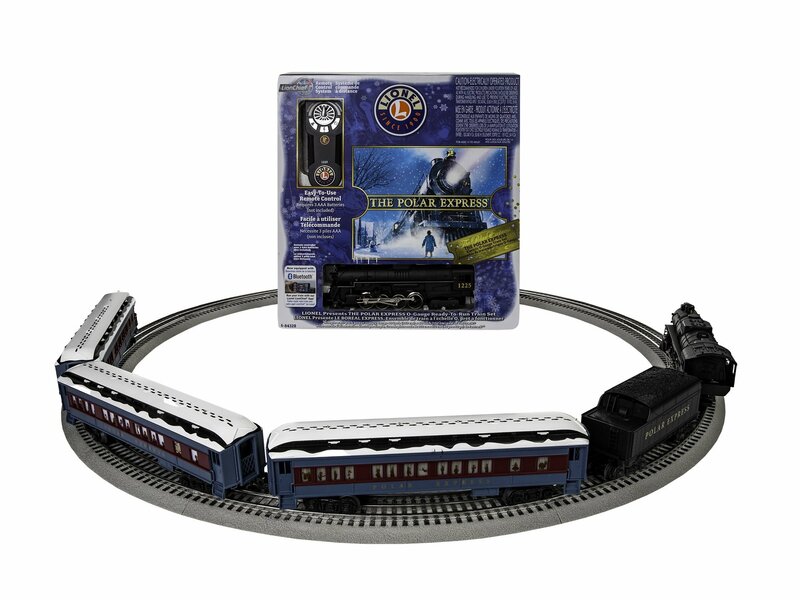 This Polar Express LionChief set is newly decorated and enhanced with Bluetooth technology that makes running your train set so much easier! For more Information on the Bluetooth CLICK HERE! This video is for The Polar Express Train Set with Bluetooth by Lionel 6-84328 that was new in 2017- You can either control it with your iPhone or smartphone! 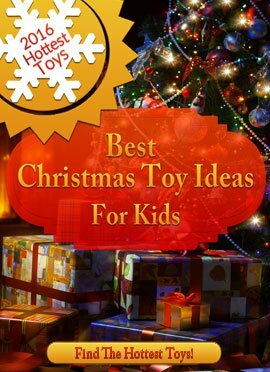 If you can’t decide if it’s worth buying the Lionel Polar Express bluetooth train set, you’ll find this video helpful! 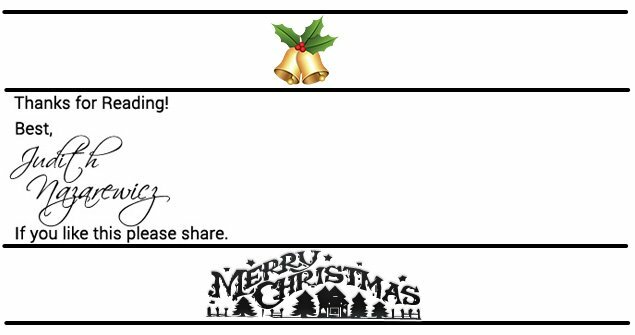 We hope you enjoyed this page on the Lionel Polar Express Train Set For Around The Christmas Tree and be sure to check all of our other Christmas Trains For Around The Christmas Tree. 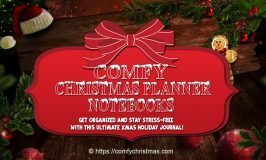 Here are a few more Christmas Train pages on Comfy Christmas to check out!